Donald Trump said has been talking to Russian officials to resolve the issues between the United States and Russia, but has he really? Recently the United states military has confirmed that the Russian government has been supplying the Taliban with firearms for the past eighteen months. Hoping that arming the Taliban would help with the defeat of ISIS, Russia isn’t denying the claim saying they are arming the Taliban. I don’t think a country like the United States could trust another country as it is arming enemies for battle. Published on Apr 24, 2017: At a news conference with Defense Secretary Jim Mattis at his side, Gen. John Nicholson, the American commander in Afghanistan, wouldn’t provide specifics about Russia’s role in Afghanistan. But said he would “not refute” that Moscow’s involvement includes giving weapons to the Taliban. There will be no reconciliation with Russia any time soon whether or not this is true but especially not if it is. 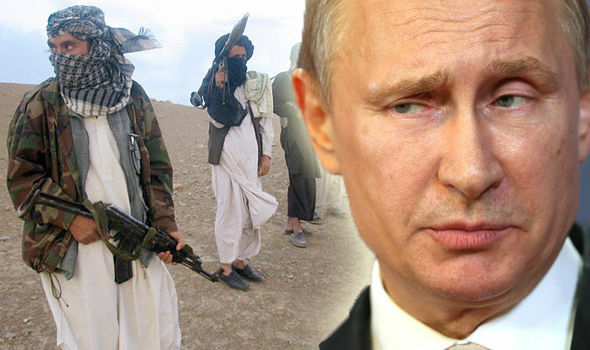 The Russians say they are arming Al Qaeda’s ideological twins so that the Taliban can fight ISIS.